Please Note: If you haven’t yet installed Composer please install it according to the instructions given in my previous post Installing Composer in 7 Steps as you can’t install Laravel 4.2 without first installing the Composer. Let’s start installing Laravel 4.2 by following these 5 steps. 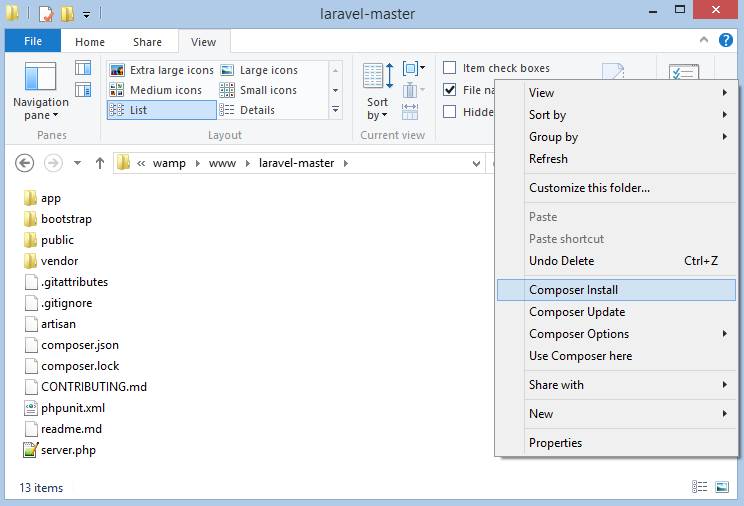 Download Laravel 4.2 from the github repo. 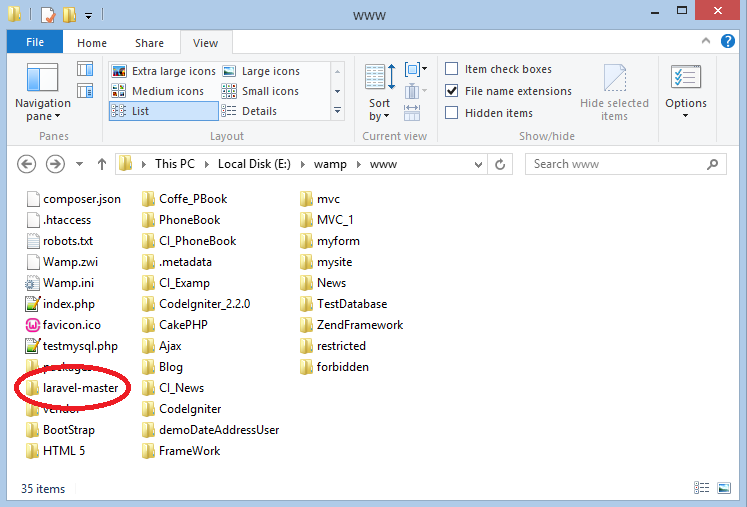 Unzip the downloaded file into the ‘www’ directory under WAMP directory. Mine is installed in E drive as shown below. Open the “laravel-master” folder. Right click in anywhere and select the “Composer Install ” from the “Right Click Menu” as shown below. 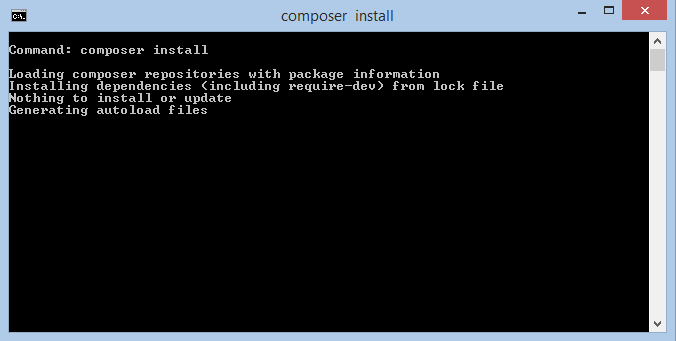 Command Prompt will be open as shown in the following, it will install all the dependencies automatically. It will take some time to complete the installation. So be patient and wait a bit until installation gets completed. After installation we’ll check whether every thing is going right or not. So, open any browser and type the following address in address bar. 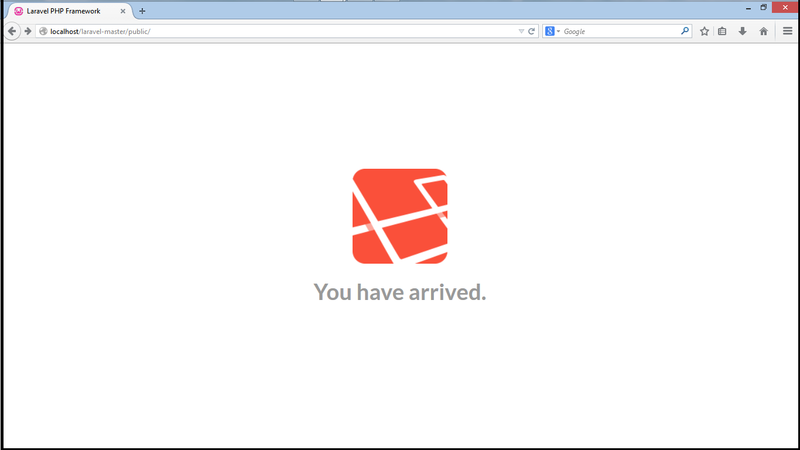 You should see the following page in your browser which means you’ve successfully installed Laravel on your local server. If you further want to learn about any other PHP Framework and if you don’t know how to install it, don’t worry, a list of famous PHP Frameworks is given as follows. Just click the link and start installing your next favorite PHP Framework. Feel free to comment or ask your questions.